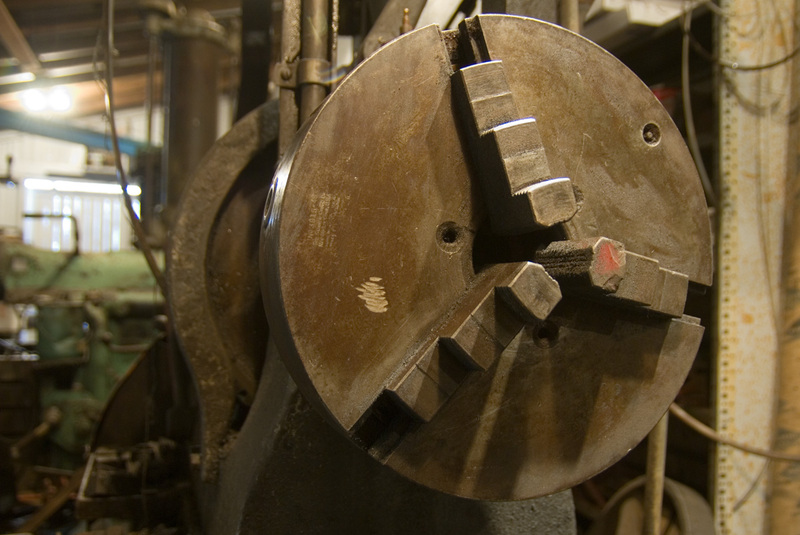 The Skinner name has been around a long time when it comes to lathe chucks. 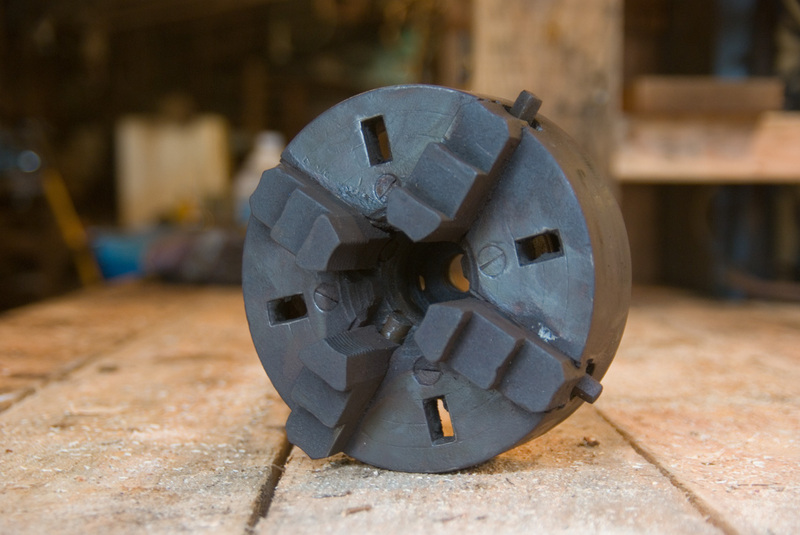 Patent 216,766 was issued to James Skinner in 1879 for a dual function chuck which allowed it to be used either in the scroll plate mode for moving all jaws together, or in the independent mode allowing the jaws to be adjusted as needed. 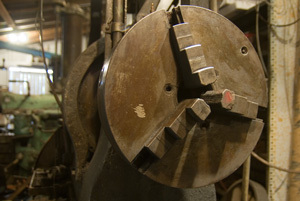 Also Skinner patented the idea of recessing the adjusting screws unlike the ancient chuck on the bottom. 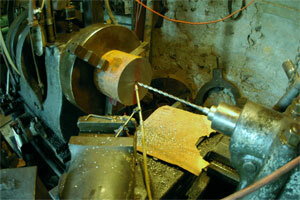 The top two photos show the 15" Skinner that I have with my London Lathe. 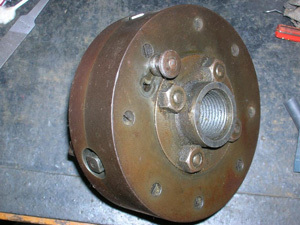 It is not of the convertible type, but is just a conventional 3 jaw scroll plate version. 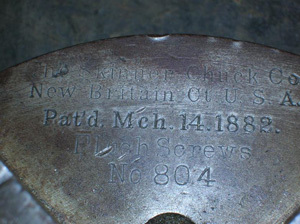 There is no special reason why it might not be as old as the lathe which dates to the very early 20th century, but it also could be newer as Skinner seems to have continued into the the 1960's making chucks. The presence of a Zerk grease fitting for greasing the scroll suggests that the chuck is newer or hasa been modified, however, because Zerk Grease fittings did not become common until the 1930's. 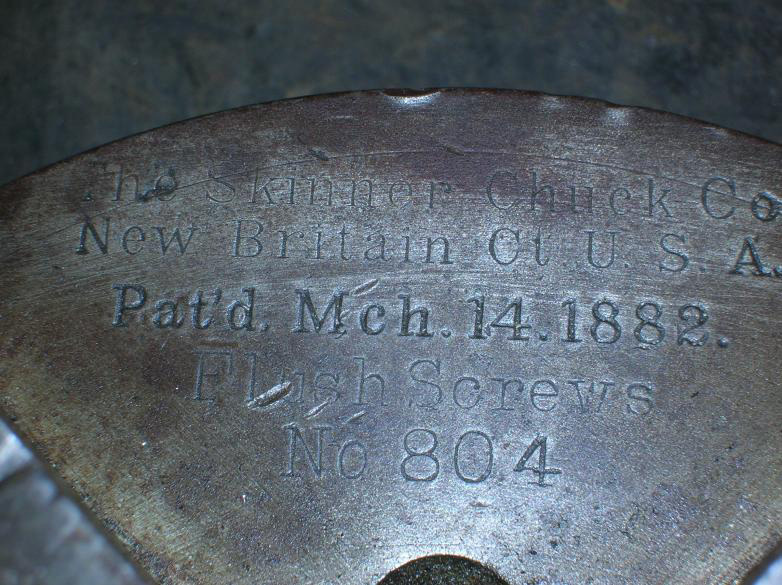 The next two photos show two of Skinner's patents--the convertible type chuck, and the flush screw improvement, which is notably absent on the ancient chuck shown in the 5th frame of unknown manufacture.